That's 5 turnovers for #KUbball - Probably feels like 15. None by Auburn yet. Tigers lead 32-15.
one more turnover and #kubball will have 6 made FG's and 6 turnovers. Auburn is just a different kind of quick. Welp - this was fun. Harper and Brown are going for the jugular. #KUbball down 34-15. 4:15 of game time since #kubball has hit a FG. FOUR MINUTES AND FIFTEEN SECONDS!!! 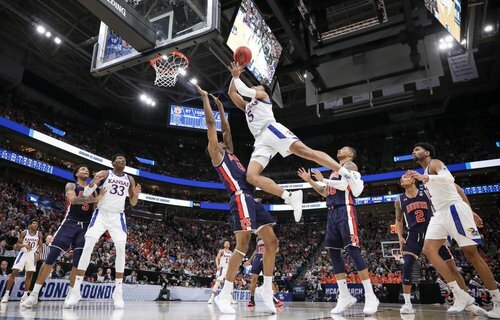 Per KU media notes, Jayhawks' worst margin of defeat in an NCAA Tournament was 18 — 60-42 vs Indiana in 1940. Even an air-balled 3 by Okeke ends up an offensive rebound for Auburn. Brown did not miss his 3-pointer. 6 turnovers through 26 possessions for KU, and Jayhawks shooting below 40% from the floor. in the double bonus = jack 3's? Auburn is scoring 1.571 points per possession. Good grief. #KUBBALL is taking a beating. A beating. 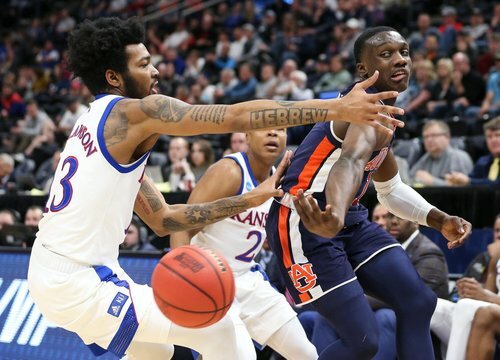 It looks like normal years KU teams playing normal years Auburn teams. 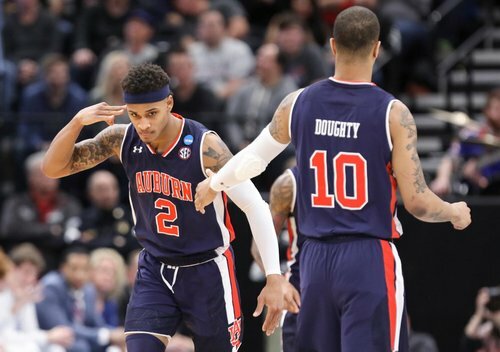 = 31 points for those 2 Auburn guards. 25 points for 9 KU players. Auburn dropped all the way down to 1.545 points per possession by halftime. Time to turn this off and do something more productive. So 1 person does watch. Who knew? Great start to the 2nd half by #KUbball but it has barely mattered. Auburn STILL leads by 21. 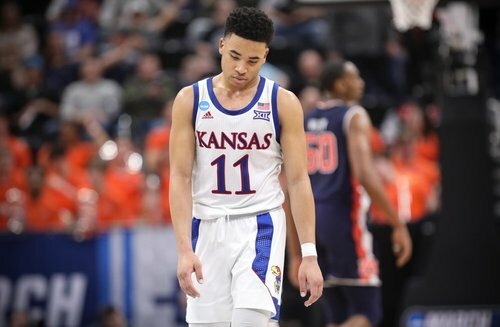 Matt, what is the biggest deficit KU has overcome in a tourney game? How can u not start driving on every possession when you get into the bonuses with almost 9 minutes left? Auburn 3-point shooting: 12-for-20. No one's beating them if they continue to shoot like this. Just an incredible display of offense. #KUbball trails 66-41. Jayhawks down 66-41. #Kubball 15:35 left. After Novas initial run last year the rest of the game played even. Same thing now, horrible first half but second half playing even. I Guarantee u that this crew won’t let this happen next year. And at full strength, this game wouldn’t b in question for us. #RCJHGKU4ever! Love the fight in this team!